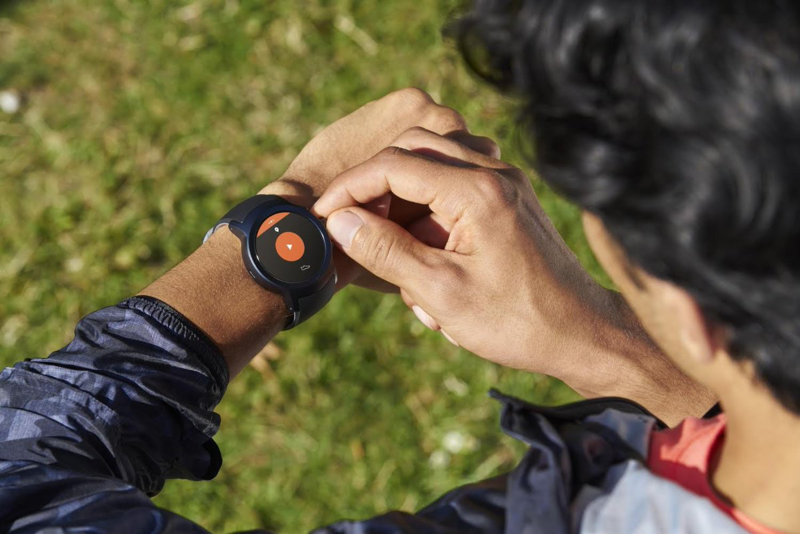 Ever since Android Wear was first announced, rumors have circulated about Google building its own smartwatch for the platform. Speculation about a possible 'Pixel Watch' started in mid-2018, but Google explicitly said the watch wasn't coming anytime soon. According to new job listings, it looks like the company may actually build its own wearable devices. A job listing posted two days ago on the Google Careers site calls for a Vice President of Hardware Engineering for Wearables. 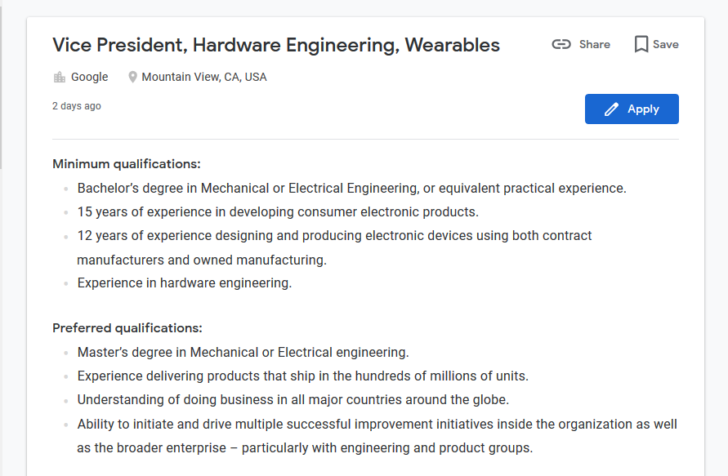 The description reads, "As the VP of Hardware Engineering for Wearables, you'll work collaboratively with the Senior Leadership team for Google Hardware and will be responsible for the design, development, and shipment of all Google's Wearable products. You will lead and enable the effectiveness of a large engineering organization primarily based in Mountain View to develop multiple next-generation wearable products simultaneously." Google's only current wearable product is the Pixel Buds, which hasn't been a runaway success. It seems extremely unlikely that the company would want a Vice President dedicated to producing earbuds, so it's safe to assume Google has plans for other wearable products, like fitness trackers and/or smartwatches. Another listing is for a 'Wearables Design Manager,' but the description is more vague. "As the Design Manager of the Wearables design team within the award-winning Google Hardware Design organization, you will be a critical leader and contributor to guide the efforts in defining and evolving what it means to hold ‘Google in your hand’." Google purchased undisclosed wearable technology from Fossil last month, but at the time, it wasn't clear if the company still planned to launch its own devices. With this job listing, it looks like Google is getting serious about the prospect.